May means one thing...the dreaded "G" word is right around the corner. No one wants to think about their friends, sisters, or themselves graduating, that's why you are forbidden to speak the word in a chapter meeting or around campus until the actual day. I know last year when my Big graduated, I had the toughest time dealing with it. Shopping for her gift did help though. It's sometimes difficult to pick out a graduation gift; what is appropriate for graduation? I had no idea and a lot of my other sisters felt that way also. 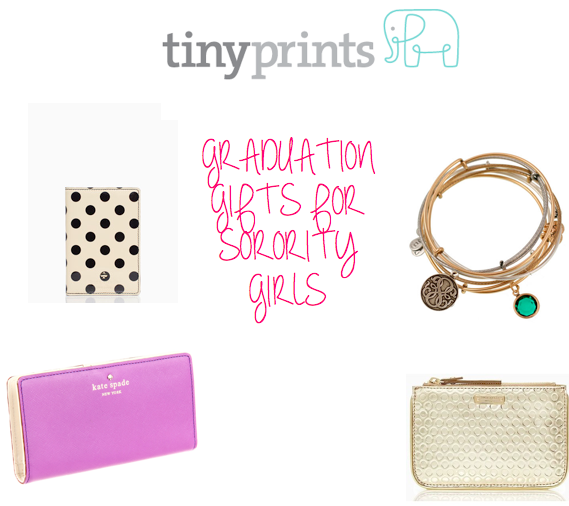 That's why I wanted to put together a guide for the perfect graduation gift for your Big, your Little, or any one of your sorority sisters. This is mostly everyone's go-to graduation gift. Whether it's a lavaliere of your letters, a cute bracelet or ring--you will probably get a piece of jewelry from someone during graduation season. A really cute idea is an Alex and Ani charm bracelet. I chose this "Good Luck Clover" bangle for my Big when she graduated and she loved it! They are so personal and so much fun to buy; one of these bracelets show that you put a personal touch on a "generic" product. When in doubt, craft! That is the sorority girls' motto in life. You can craft anything; a scrapbook, a collage, a keepsake box--anything crafted is a great idea for a graduation gift. It's personal, fun, and your big/little will appreciate something made from the heart. 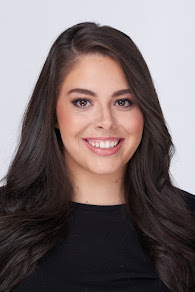 Depending on what your big or little is planning on doing after graduation, you can start them up with something new and sophisticated to add to their collection. A few of my sisters are traveling abroad over the summer before starting their adult life so a fancy Passport holder could be a great gift. If they're starting a new job, you could buy them a nice wallet or coin purse to send them off into the real world. There is a special company that I'm new too but have been salivating over their website. TinyPrints is a fabulous company that has perfect gifts for any occasion. The site has an incredible selection of invitations and stationary, including graduation announcements and invitations. They even have a special section titled "Gifts for Grads" that has everything from mugs to notebooks to custom canvases. TinyPrints also has a great sorority collection for all your gift giving needs; they have items for all 26 NPC organizations. You're able to customize a notebook, iPHONE case, and other items with your letters, national colors, pictures, and names. Getting something from the TinyPrints sorority collection will definitely make your Big or Little smile with gratitude. It's a great send off into the real world, knowing your sisters and your letters are always behind you. The great thing about TinyPrints is that everything has the ability to be personalized with your own pictures and names. It gives that special, personal touch to the gift.